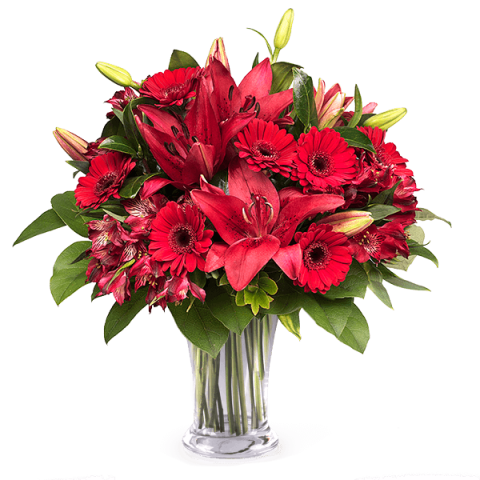 Just like the glitz and glamour of the red carpet comes this bouquet formed from sophisticated alstroemerias, elegant lilies and beautiful mini gerbera daisies. Give this bouquet of red flowers to someone who you want to tell your best kept secrets. Flowers were delivered on time,they are beautiful.